"Yamaha is my sound, I can't get it any other way." His expertise in production and creating a vision for live shows has led him to Musical Direct acts such as Hayden James, Carmada feat. Charli XCX, E^st, Nicole Millar, Cosmo's Midnight, JOY., Elk Road, and Little Sea. 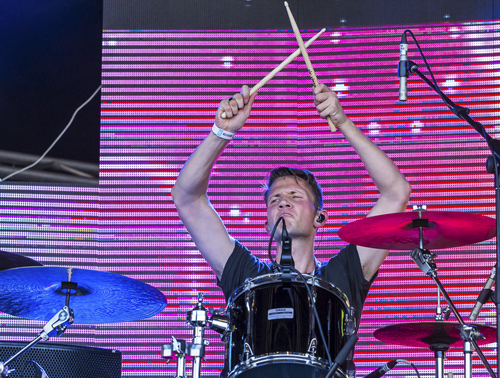 As a drummer, he has toured across five continents, most recently with Broods (2014/15), Miami Horror (2013) and Van She (2012). Other artists he has performed or recorded with include The Australian Ballet, Mika, La Roux, The Pierces, Boy George, Kim Wylde, Midge Ure, Heaven 17, Guy Chambers, Sophie Hunter and winners of The Voice and X Factor. He has played many of the world's major music festivals including, Austin City Limits, Bestival, SXSW, Lovebox, Stereosonic, Groovin The Moo, Lovebox; and on television shows including Later...with Jools Holland, Last Call with Carson Daly, MTV Introduces, Channel 4 Album Chart Show, Sunrise and triple j's Like a Version. His production and mix work have be heard with E^st (Warner Australia) and Elk Road (Sony). Joel holds a First Class Honours degree in Classical Percussion from The Royal College of Music, London.